I've been part of Second Life for about fifteen years across a couple of accounts. Outside of the virtual world I've run many businesses and invested in plenty of other opportunities that have been pretty successful with a healthy return of my investments. I'm open to the idea of investing into Second Life once again as I'm slowly returning back to the platform after a few years of being away. Reach out to me via messaging here and we will discuss what's next in the process in terms of determining if I'm interested in the idea of investing into you and your startup. Be forewarned that you will need a fully detailed and professionally written business plan in order to be considered. If you don't have one as of yet and want to bounce off ideas you have to see if it might be worthwhile, you're still welcome to message me. I've been involved in pretty much everything on Second Life and thus have a lot of experience in terms of determining if an idea might work. I use a few different accounts in-game and currently do not use this account in-game so messages in-game direct to this account will not be seen or answered. How about a new Real Estate MLS system! I feel that Secondlife needs an easy to use system for finding the right real estate options available. Introducing an innovative multi-listing service for a successful career in Second Life land sales and rentals. Services include marketing, property management, tier assistance, and business loans that will enable new land barons an opportunity to see flourishing growth, and revitalize the Second Life land market. Our members enjoy the ease of a user-friendly HUD to organize their land in a time and cost-efficient portfolio. Come grow with us. ------- What I have called "Real Estate Network" with the group names all secured. There is a main office location already in world. 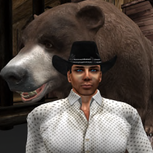 I have created devices that are put on the land to set the land for sale, in world network server for multiple properties and messaging, a HUD for managing property listings and users to search for listings. I even have a financing option built into the HUD for buyers to finance mainland sales for a fee. I am a retired RL realtor and web developer / programmer and I have several of my own RL servers to work with. I can create a business plan if you are interested. I have numerous ideas and am currently seeking investment. I would be happy to provide any details you need. Feel free to contact me in-world.